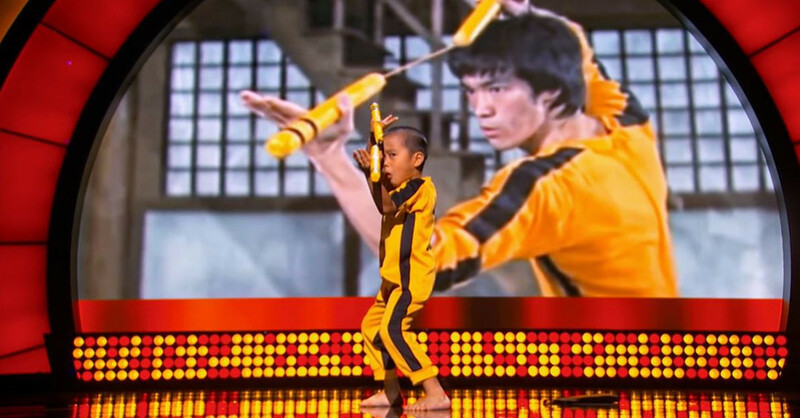 Ryusei nunchucks his way into your heart with his Bruce Lee routine via NBC's Little Big Shots hosted by Steve Harvey. Ryuji Imai — a five-year-old "mini-me" version of Bruce Lee might actually be the reincarnation of the Li Xiao Long -himself! Origins of today's version of Little Phoenix were uploaded by Ryuji’s parents — they posted the following video on YouTube and it skyrocketed to over four million views in just four days. The astonishing viral video showcases the lil' Japanese boy's extremely impressive imitation of Lee’s famous nunchaku scenes from his final (and incomplete) film, Game Of Death (1972). Several more videos were posted and the legend of Baby Bruce Lee has been born! Ryusei began performing his impressive renditions at arenas during martial events — captivating audiences the way Bruce Lee use to. His jaw-dropping performances are currently taking the globe by storm, he is now touring the world — showcasing his nunchucking skills. Hamilton Musical — The Greatest Show On Earth!